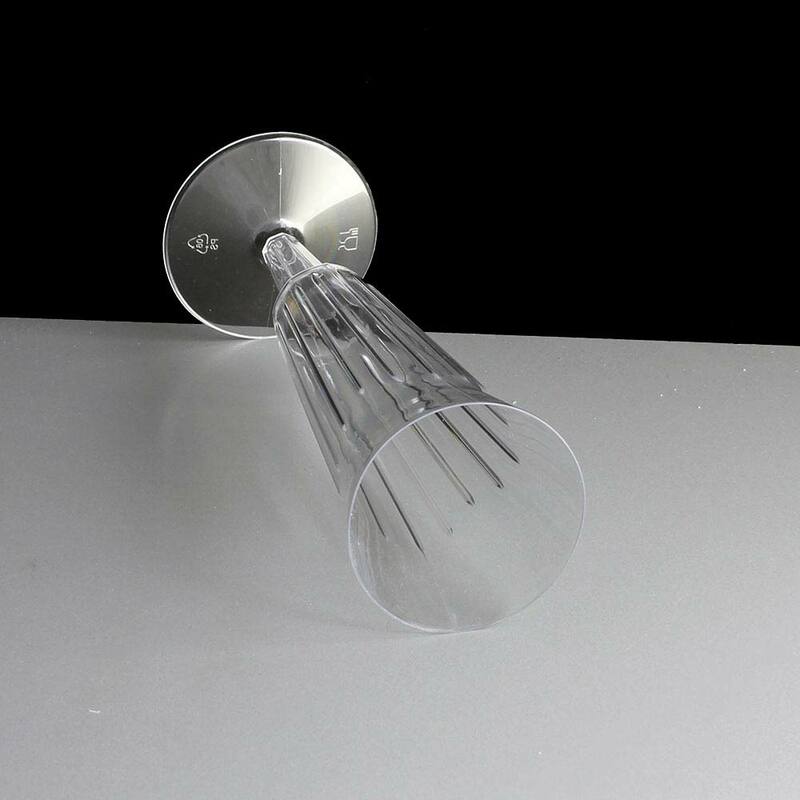 These are single piece clear disposable plastic champagne flutes, with a 135ml (5 fl.oz) capacity to rim and a marked line and text 0.125L approximately 7mm from the rim of the glasses. 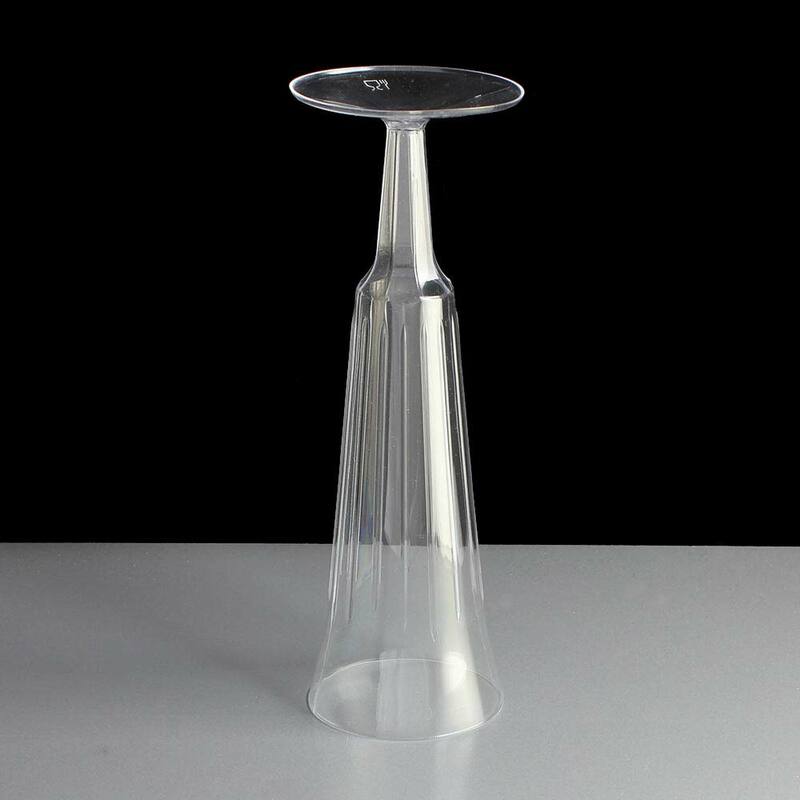 The C7025B is a continuation from our C7025A range which formed part of our first line up of glasses from Plastico. 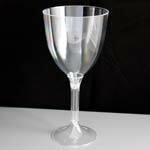 The flute is manufactured from clear thin walled polystyrene plastic and is produced with varied height flare effect on the main body of the glasses which also adds a more solid feel to the glass when being held by the drinker. 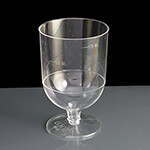 The glasses when held are rigid and solid to drink from, but will of course be crushed if pressurised too much in the hand and readily break under foot. We currently sell these in cases of 150 or packs of 10. They are not CE stamped, but generally speaking champagne is sold by the glass and not by a specific measure. 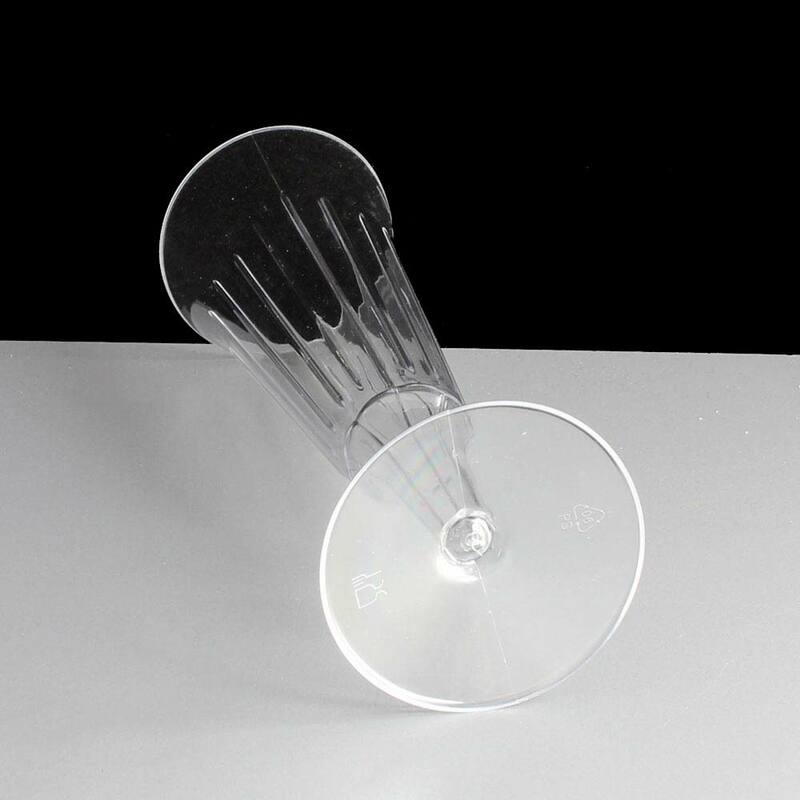 On the base of the glasses there are symbols for food grade material and also the PS 6 recycling logo as they can be widely recycled after your event. 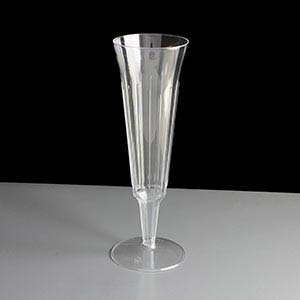 The flute also has two faint seams on either side of the glass body and base. As it is a disposable plastic champagne flute, it iis ideal for use at busy functions such as weddings, parties, festivals as well as in bars, clubs and restaurants. 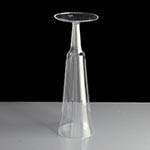 A cost effective option for one off events where champagne or other bubbles are served in volume. 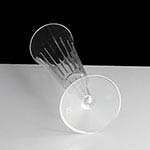 Feedback for Disposable Champagne Glasses - Required: Pack of 10 has been compiled from 0 reviews.